Who knew that collard greens could be enjoyed in a variety of ways?! 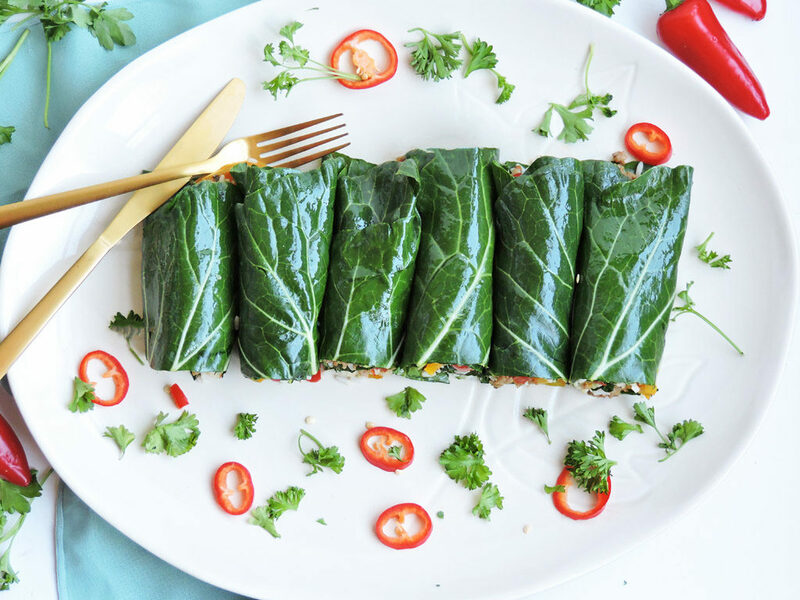 These Turkey Sausage Stuffed Collard Green Wraps are a complete game changer! 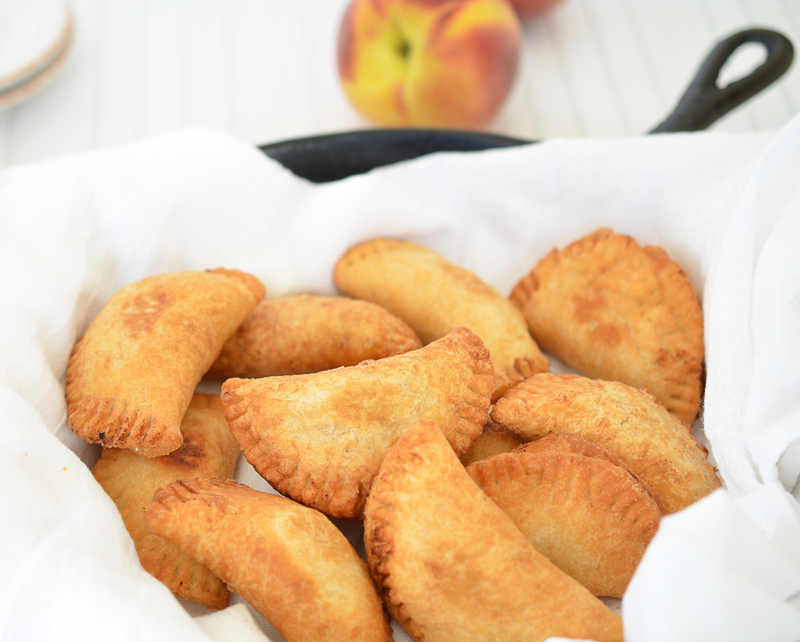 They make a deliciously, healthy meal or a great appetizer for your next party!! It’s Black History Month y’all!! And we’re celebrating with a BHM Virtual Potluck!! 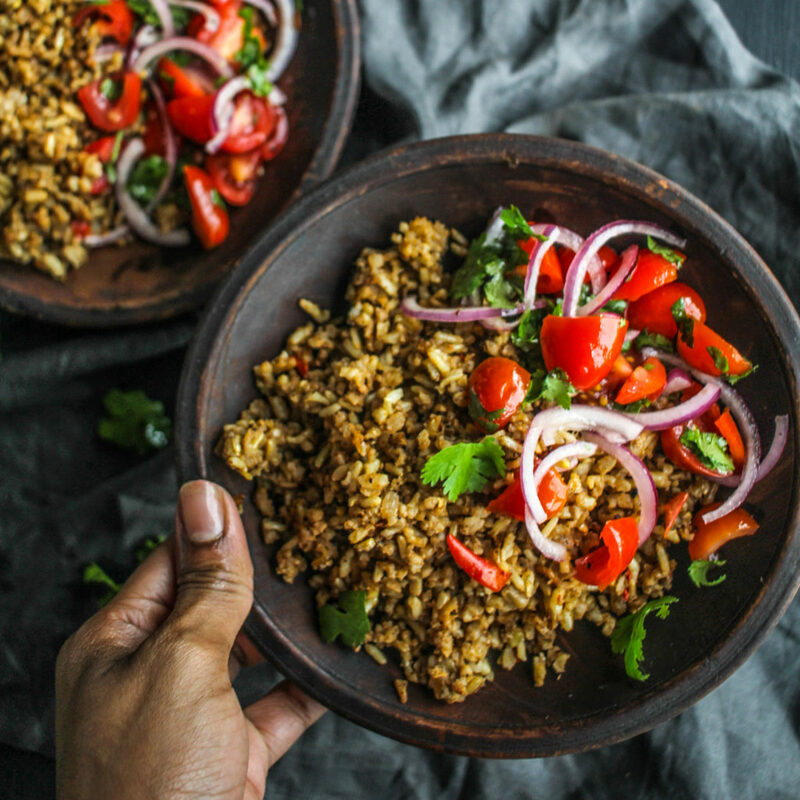 I’m super excited because I’ve teamed up with some of the most talented food bloggers from the Black Food Bloggers Club to bring you some delicious recipes from around the world!! I can hardly contain my excitement! Collard greens bring back so many memories! Good memories, of course! In my house, collard greens meant family time and full bellies! Lol! We only would have this dish on Sundays or special occasions. I could just smell them cooking now….ahh good times! I would always try to sneak a taste before they were completely done, and I usually got caught! Lol! Now that I’m older, I have continued the tradition with my own family! It took several Sunday dinner mishaps, but I finally mastered my mom’s collard green recipe! Yayy, me! Even though, I loved my mom’s recipe, I wanted to experiment with a few different recipes. 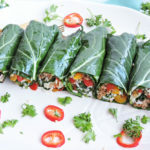 Turkey Sausage Stuffed Collard Green Wraps came to mind when I was experimenting with a few low-carb wrap options! I thought the only way to enjoy collards were the traditional way; simmered in a large pot, accompanied by perfectly seasoned meat. Boy was I wrong! These wraps completely changed my outlook on life! Besides being utterly delicious, these wraps were very easy to make! I cooked my sausage, rice, and veggies and then placed them on a raw collard green leaf. I rolled the leaf tightly, making sure to keep all of the ingredients intact! I placed the wraps in a baking dish and baked them for about 10 minutes; just enough to slightly soften the collard green leaves. Be careful not to overcook the wraps. 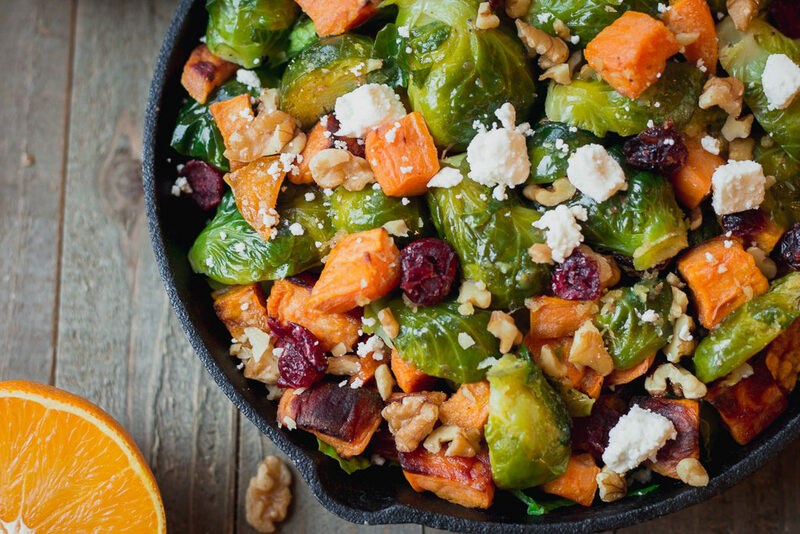 Overcooked veggies lose their nutrients and we want all of those great vitamins/minerals, right?! ? You want them to remain pretty and green! 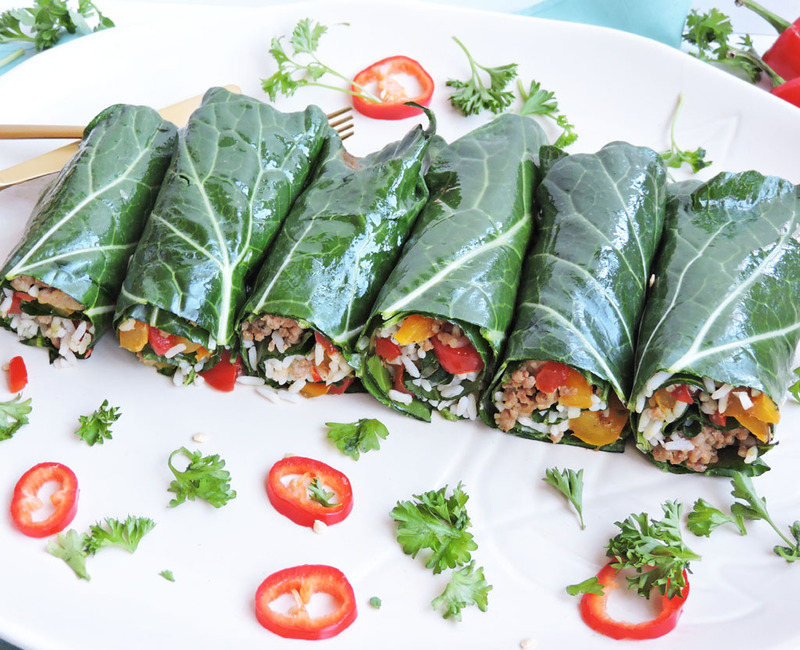 You can choose to add cheese to your Turkey Sausage Stuffed Collard Green Wrap if you desire. I think they taste great either way! Go ahead, and give these a try! Oh, and the fun doesn’t stop here….keep scrolling ? In a large skillet, on medium heat, cook turkey sausage. Add in diced chili pepper. Be sure to break up sausage when cooking. When sausage is thoroughly cooked, remove sausage from skillet and set aside. Season with salt/pepper to taste. In the same skillet, on medium heat, add olive oil, yellow and red bell pepper. Cook until veggies are tender. Season with rosemary, garlic powder, and seasoning salt. Set aside. On a flat surface, arrange collard green leaves and evenly distribute sausage mixture, bell pepper mixture, and rice. Sprinkle a tbsp of shredded cheese on each if desired. Carefully roll wraps, making sure that the stuffing does not fall out. 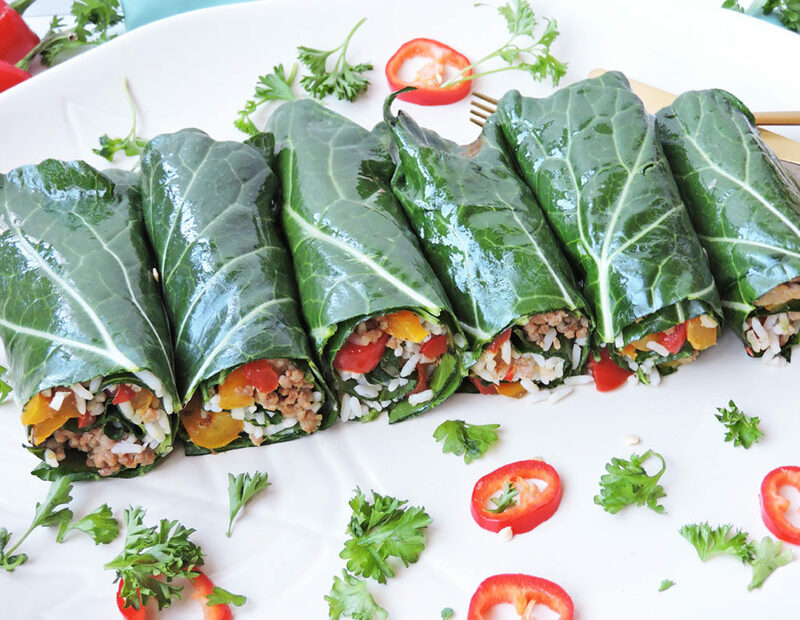 Place each wrap in a shallow baking dish and bake for about 10 minutes, until collard greens are slightly tender. When done, remove from baking dish and serve. As promised, here are those yummy recipes from our BHM Virtual Potluck! There’s a plethora of amazing dishes, so kick back, relax and enjoy the potluck!! Cheers! I definitely need to make these wraps, they look delicious!